UK-based marine engineering firm SeaKing Electrical has recently completed a major upgrade of the Suez Canal radar system. NEW YORK--U.S. crude futures tumbled Wednesday despite a surprise decline in U.S. oil inventories as worries about fuel demand and Europe's debt crisis weighed on prices. Light, sweet crude for November delivery recently traded $2.01, or 2.2%, lower at $89.36 a barrel on the New York Mercantile Exchange, after falling as low as $88.95/bbl following the inventory data. Brent crude on the ICE futures exchange traded $1.76 lower at $108.69 a barrel. The U.S. Energy Information Administration said crude-oil stockpiles fell by 2.4 million barrels in the week ended Sept. 21, surprising analysts that had called for a 1.1-million-barrel increase. The stockpile drop was due primarily to a sharp decline in oil imports, which fell 7.6 million barrels, the lowest level since December. But even as supplies fell, a measure of demand known as products supplied also dropped as refineries cut back on their utilization, suggesting that the oil-price drop is due to signs of sagging fuel usage. "There's disappointment that refinery demand for inputs didn't perk up," said Tom Pawlicki, an energy analyst at brokerage EOXLive. "It may be that the refiners don't see demand picking up either." Four-week demand for fuel products fell to the lowest level since April 6. Weaker data on U.S. fuel usage comes amid continuing worries about Europe's debt crisis. Spain roiled markets following calls for early elections in Catalonia and a decision by the Spanish prime minister to restrict early-retirement programs. Meanwhile, in Greece, unions began a general strike over austerity measures and street protests turned violent. Andy Lipow, president of consulting firm Lipow Oil Associates, said the main focus of the oil market remains Europe, and the problems in Spain and Greece. But traders were cautious about betting on declines until after the U.S. inventory data were released. "People might have felt when they came in this morning, it was already down a dollar, you might as well wait to see what the stats say," Mr. Lipow said. Further weakness in Europe, where even stronger states are slipping toward recession, would likely put a dent in oil demand in the region. After surging toward $100 a barrel earlier this month on optimism about new stimulus measures from the Federal Reserve, oil prices have slumped over the past two weeks as investors grow uneasy about slowing global growth and the situation in Europe. Some market watchers are skeptical that central bank stimulus will forestall the latest slowdown. "Any further slowing of economic growth and thus oil consumption will result in global inventories starting to move back toward the upper end of the normal inventory range," said Dominick Chirichella, analyst at the Energy Management Institute, in a client note. "If so, it could put pressure on oil prices." Front-month October reformulated gasoline blendstock, or RBOB, recently traded 4.38 cents, or 1.5%, higher at $3.0109 a gallon, down from a high of $3.0206/gallon before the data. October heating oil recently traded 3.81 cents lower at $3.0705 a gallon. PERTH, Sept 27 (Reuters) - Asia's richest woman Gina Rinehart is fighting a fresh court battle over iron ore assets in Western Australia worth billions of dollars, the latest in a series of legal scraps involving the mining magnate that have generated much local media buzz. Rinehart's Hancock Prospecting Pty Ltd is being sued by Wright Prospecting Pty Ltd, her late father's business partner, which is seeking part of her company's interest in iron ore tenements now half-owned by Rio Tinto Ltd, according to documents filed in the Supreme Court of Western Australia. Rinehart's father Lang Hancock and Peter Wright discovered vast tracks of iron ore in the Pilbara in the 1950s and owned tenements jointly through a partnership known as Hanwright. But disputes over ownership have raged between the prospectors' descendants for years. In the latest case, Wright Prospecting is staking a claim of half of Hancock Prospecting's ownership in three tenements known as Hope Downs 4, 5 and 6, according to a writ filed with the court on Monday. "The Hanwright partnership owned these tenements jointly in 1970s... Wright Prospecting is now trying to recover its interest in those tenements," a spokesman for Wright Prospecting said in an emailed statement to Reuters on Thursday. Wright claims that the tenements were re-awarded to the Hanwright partnership and held by Hancock on Hanwright's behalf. "We don't understand the writ after Hancock Prospecting, without Wright Prospecting, have held the Hope Downs tenements 4, 5 and 6 for more than 20 years and Wright Prospecting have not contributed towards them financially in this period," Hancock Chief Financial Officer Jay Newby told Reuters in an email. Rio and Rinehart's Hancock are currently developing Hope Downs 4, which will have an annual capacity of 15 million tonnes of iron ore, worth close to $1.5 billion at current prices, when it begins production next year. Rio bought half of the three tenements in 2005. "Wright Prospecting were timely aware of the transaction that year, some seven years ago, and chose not to dispute ownership of the tenements," Newby added. Hancock is currently trying to secure funding to develop another large iron ore mine, rail and port project called Roy Hill. That project is facing delays due to tumbling iron ore prices and a bitter family feud. ACCRA, (Reuters) - Ghana, hit by lower oil production, saw economic growth slow to 2.5 percent year-on-year in the second quarter, and the national statistics office now expects full-year 2012 GDP to rise 7.1 percent. Ghana's GDP was forecast to grow 8.2 percent this year in a Reuters poll in July, after growing nearly 15 percent last year. "We all know that oil production was lower than projected during the (second-quarter) period ... we can say this is also a contributing factor, in addition to planned activities," acting government statistician Philomena Nyarko told a news conference. She also said on Wednesday first quarter year-on-year GDP growth was revised up to 15.7 percent from 8.7 percent, mainly because of additional data. That meant GDP rose 2.4 percent in the second quarter, compared with the first three months. Ghana, the world's second largest cocoa grower, began pumping oil from its Jubilee oil field in November 2010. While it had hoped to hit 250,000 barrels per day by 2013, it has averaged under 80,000 bpd due to delays. London-listed Tullow Oil, Ghana's leading oil field operator, said in its second-quarter earnings statement in July that output was cut to a gross average of 63,000 bpd in the first half of 2012 because of remediation work on some wells. Ghana has produced more than 37 million barrels of oil since production started at the Jubilee field. The statistics office said the agriculture sector contracted 0.1 percent in the second quarter, after 5.4 percent growth in the first quarter, because of poor performances in the forestry, fishing and livestock subsectors. 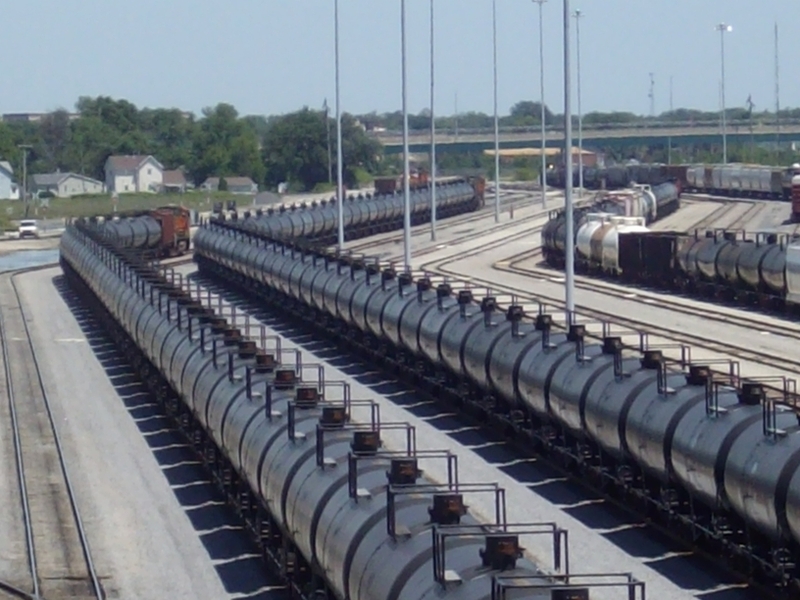 Netherlands-based Botlek Tank Terminal (BTT) has given the go-ahead for a consortium of contractors to start work on a new train loading station. The station, with two 340m tracks, will be able to load six wagons simultaneousl, at a rate of 400 tonnes per hour. Construction of this new rail link will cost €2 million ($2.5 million) and take around six months. The new train loading station is BTT’s response to growing customer demand for rail transport. It will be used initially to load block trains with biodiesel and will be modified in due course to handle other oil products such as jet fuel, gasoline, diesel and edible oils. Traffic will begin with two trains a week before throughput increase finally up to two trains a day. South Africa’s state-run firm PetroSA has landed in Ghana with the acquisition of Sabre Oil & Gas Holdings. The firm purchased Sabre Oil & Gas Holdings for an undisclosed amount, giving the company a stake in Ghana’s offshore Jubilee field, as well as Sabre’s interest in the Deepwater Tano and West Cape Three Points blocks. The purchase received the consent of Ghana’s Energy Minister Dr. Joe Oteng-Adjei, following approval of the acquisition by South Africa’s Energy Minister Dipuo Peters. The acquisition follows a bidding process that saw PetroSA shortlisted with two other international oil companies. It was revealed in May that Kosmos Energy, one of PetroSA’s new partners in Ghana, had pulled out of negotiations to acquire the Sabre stake the Deepwater Tano License. CEO of PetroSA Nozizwe Nokwe-Macamo said the acquisition was part of the state-owned company’s strategy to increase its African footprint. While Sabre’s interest in the Ghanaian acreage was not large, the acquisition does increase PetroSA’s reserves and gives the company, which has been heavily dependent on income from its GTL refinery in Mossel Bay, immediate access to production revenue. “This deal provides PetroSA with a unique opportunity to establish a presence in this highly prospective region. We are very happy to be working with reputable partners such as Anadarko, Kosmos, Tullow and, of course, our counterparts, the Ghana National Petroleum Corporation,” Nokwe-Macamo said. HOBYO, Somalia — The empty whiskey bottles and overturned, sand-filled skiffs littering this once-bustling shoreline are signs the heyday of Somali piracy may be over. Most of the prostitutes are gone and the luxury cars repossessed. Pirates while away their hours playing cards or catching lobsters. "There's nothing to do here these days," said Hassan Abdi, a high school graduate who taught English in a private school before turning to piracy in 2009. "The hopes for a revitalized market are not high." 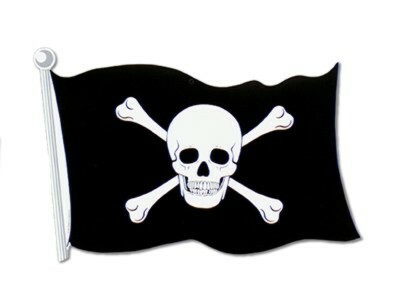 While experts say it's too early to declare victory, the numbers are startling: In 2010, pirates seized 47 vessels. This year they've taken five. "Those days are over. Can you pay me $1,000?" she asked. That's what she once got for a night's work. "If not, goodbye and leave me alone." "Money," she groaned as she hung up. "Ships are being held longer, ransoms are getting smaller and attacks are less likely to succeed," said Saleh, sitting on a threadbare mattress covered by a mosquito net. A plastic rain jacket he used at sea dangled from the door. Somali pirates hijacked 46 ships in 2009 and 47 in 2010, the European Union Naval Force says. In 2011, pirates launched a record number of attacks – 176 – but commandeered only 25 ships, an indication that new on-board defenses were working. "We have witnessed a significant drop in attacks in recent months. The stats speak for themselves," said Lt. Cmdr. Jacqueline Sherriff, a spokeswoman for the European Union Naval Force. Sherriff attributes the plunge in hijackings mostly to international military efforts – European, American, Chinese, Indian, Russian – that have improved over time. In May, after receiving an expanded mandate, the EU Naval Force destroyed pirate weapons, equipment and fuel on land. Japanese aircraft fly over the shoreline to relay pirate activity to nearby warships. No vessel with armed guards has ever been hijacked, noted Cyrus Moody of the International Maritime Bureau. A June report from the U.N. Monitoring Group on Somalia and Eritrea said armed guards have forced pirates to "abort attacks earlier and at greater ranges from targeted vessels." Some of those who live around Hobyo along central Somalia's Indian Ocean coastline say they never wanted the region to become a pirate den. Fishermen say piracy began around 2005 as a way to keep international vessels from plundering fish stocks off Somalia. Once lively Hobyo was quiet last weekend, except for the sight of legitimate fishermen taking their boats out to sea. The price of a cup of tea – which cost 50 cents during the piracy boom – has fallen back to 5 cents. The lobster haul has replaced international freighters as the topic of conversation. "The decline of piracy is a much-needed boon for our region," said Hobyo Mayor Ali Duale Kahiye. "They were the machines causing inflation, indecency and insecurity in the town. Life and culture is good without them." "He could not pay my $2,000, so I had to take his $7,000 car," said the creditor, Fardowsa Mohamed Ali. "I am no longer in contact with pirates now because they are bankrupt and live like refugees." "The coasts became too dangerous," he said, holding an old, beat-up mobile phone. "Dozens of my friends are unaccounted for and some ended up in jail." "The risks involved in the hijacking attempts were very high. EU navies were our main enemy," Saleh said. When the monsoons that have roiled the Indian Ocean the past two months subside in about two weeks, the number of successful hijackings – or lack thereof – will go a long way toward telling if the heyday of Somali piracy is truly over. Still Somalia's widespread poverty and the lure of potential riches make it too soon to say whether the scourge has been squelched. "We hope so. But at the same time we are definitely advising all vessels not to become complacent just because the numbers are down," said Moody of the International Maritime Bureau. "The reward for the Somali pirate once they get a vessel is enormous, so just giving that up is probably not going to be easy." "Pirates brought vices like drugs and AIDS, nothing else," he said. "There were no benefits." * Gunvor CEO calls refining margins "extremely good"
GENEVA/LONDON, Sept 25 (Reuters) - Trading houses Vitol and Gunvor are earning millions of dollars a week from their newly acquired European oil refineries, only months after the sector was described as doomed and the previous owner of the plants went bankrupt. The traders are profiting from a surprise reversal of the fortunes of Europe's refining sector, which for years had struggled with poor refining margins - the value of oil products over the cost of the crude from which they are extracted. Refining margins, which were languishing next to zero, jumped higher thanks to a contraction in capacity because of a refinery closure, stoppages due to accidents and seasonal maintenance. While the debate is still on as to whether traders are enjoying fat margins, for now at least, due to pure luck or their talent for anticipation, one thing is sure - they are close to recouping money they spent on buying the refineries from the insolvent Petroplus. "Those refineries are now printing more money in a month than during several previous years all together," said a former Petroplus employee familiar with the new owners. One of the new owners confirms that things look rosy, at least for now, though this may not last as some of the reasons for the sudden improvement in the business are only temporary and the market outlook is challenging. "Last year, we saw significant amount of (refinery) closures because refining margins were very bad," said Gunvor's Chief Executive and co-owner, Torbjorn Tornqvist. "Now they are good, actually they are extremely good." Vitol and Gunvor, the world's No.1 and No.4 energy trading houses which between them control the majority of trades in Geneva and London, bought three of Petroplus' five plants in Belgium, Germany and Switzerland after the independent refiner collapsed under a pile of debt in January. Secretive traders have for decades focused their businesses on niche deals, often employing only a few dozen of people, whose main role is to connect buyers and sellers. Hunger for physical assets was seen as a key reason for the push into refining. Refineries represented an ideal home for their large cash piles and would enable the trading houses to extend control over supply lines as they already own stockpiles of crude and oil products. A few months after the purchases, the traders are thriving where others have failed - in the refining business itself. Facts Global Energy consultancy estimates that margins have shot up to a four-year high of $8 a barrel in early September from around $2 at the start of the year, when Petroplus went into administration. So the ageing plants, which just a few months ago looked ready for the scrap heap, are profitable again, says Gunvor. Vitol, which bought Cressier with AtlasInvest in May, declined to comment on the profitability of operations. Traders and analysts give several reasons why refining margins have recovered so steeply, with production of gasoline in Europe generating the best returns in the past four years. The prices reflect limited supply as other Europe's refiners undergo seasonal maintenances. Unplanned outages in the United States and a fire at a large Venezuelan refinery also cut deliveries to consumers. Traders could hardly anticipate those development, but they certainly played a key role in the closure of Petroplus' most modern refinery, Coryton, in Britain. To the surprise of the industry, Coryton failed to attract a buyer, despite being seen as one of the company's prize assets, helping to tighten the markets and boost margins. 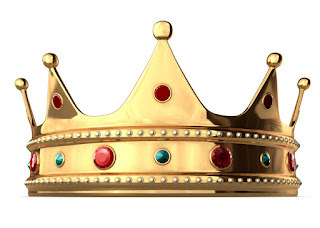 The fact that the industry was on its knees also meant that competition for the Petroplus assets, especially the smaller units like Belgium's 110,000 barrel per day Antwerp plant and Switzerland's 70,000 bpd Cressier, was scarce. A source familiar with Vitol's deal to buy Cressier -- a plant that was Petroplus' least profitable -- said it was bought for "substantially less than $50 million". Based on the average European refinery run rates of 86-87 percent, as assessed by JBC Energy, and FACTS Global Energy's variable cost margin of $7 a barrel for northwest Europe, the traders are close to paying back what they spent on the plants. Reuters calculations based on those figures suggest that Cressier would be generating around $412,000 per day or $25 million over the past two months. The same formula shows that Gunvor could be making a nominal profit of around $670,000 a day on its Antwerp plant.
" 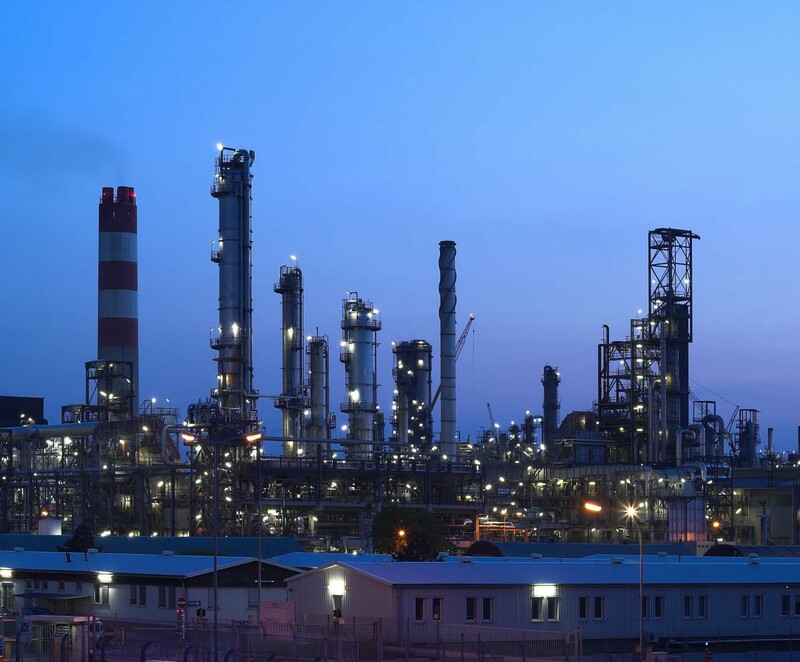 The new owners will have paid a huge chunk of their investments back already just this quarter," said a bank analyst specialising in European refining. The payback calculations do not however take into account considerable liabilities that the trading houses have shouldered with the purchases, such as high labour costs or turnarounds. So in the longer term these liabilities may make the plants less profitable, and should their new owners decide to close them, they could face high redundancy costs. Analysts said that oil traders can probably extract more profits from the plants than Petroplus because they have better access to credit. "Petroplus was hampered by credit limits and inventory management was very important for them. A company like Vitol will have much more working capital so they can be more flexible," said Gemma Gouldby, analyst at FACTS Global Energy. Most industry experts, including the traders themselves, realise the boom time will not last forever given chronic challenges in the sector. 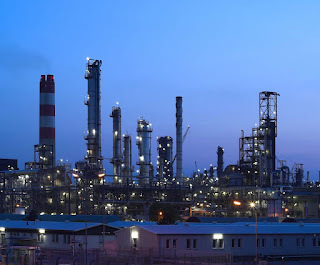 Europe's refiners have been struggling with shrinking oil demand and tough environmental rules for years as new modern rival refineries come onstream in Asia and the Middle East. First Bank of Nigeria Plc has provided an asset finance facility of $29.03 million to Nigerian indigenous engineering firm Broron Oil & Gas Ltd. The asset facility is for the funding of a multifunctional field support vessel and other equipment for an ongoing contract with Mobil Producing Unlimited. Speaking recently during the christening of the vessel DSV AVIANNA, special adviser to Nigeria’s president Goodluck Jonathan, Sullivan Akachukwu Nwakpo, urged other indigenous companies to take advantage of the Nigerian Content Act. “I am sure that there are so many Nigerians, who have sufficient funds to do better than what we are seeing today but they appear not to have picked the courage to believe that there is a law signed by the president that actually works,” he said. First Bank has committed well over N500billion to financing oil and gas projects in Nigeria as part of efforts to enhance local capacity and competitiveness, according to statistics released by the bank. 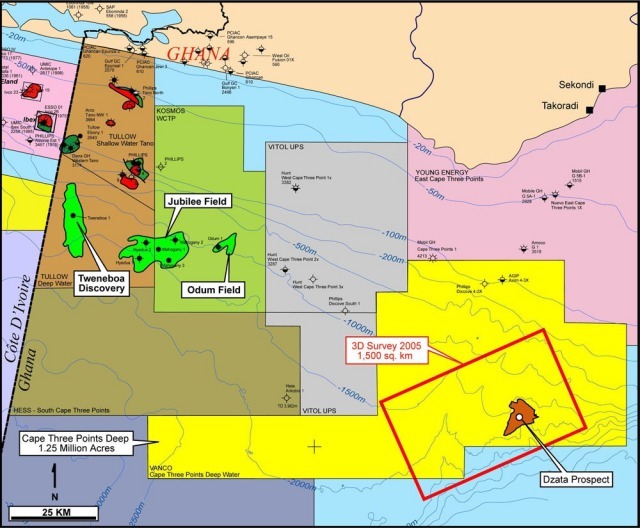 Ghana has a new discovery off its coast with Italian firm ENI making its first discovery on the Offshore Cape Three Points (OCTP) block with the drilling of the Sankofa East-1X well. The company said that the discovery is relevant as it may have the potential for commercial development and confirms the importance of the block also in terms of the presence of oil, as well as natural gas and condensates. ENI plans for the immediate drilling of other wells to delineate the size of the discovery and confirm the feasibility of commercial development. The Sankofa East-1X well, which reached a total depth of 3,650 meters, in 825 meters of water, encountered 28 meters with gas and condensate with 76 meters of gross oil pay in Cretaceous sandstones. During the production test, carried out in the oil level, the well produced about 5,000 high quality bpd of oil. The flow rates during the production testing were constrained by surface infrastructures. In addition, there are ongoing engineering studies for the development and commercialization of gas reserves of the block in accordance with the principles sanctioned in the MoU recently signed by ENI, Vitol, and GNPC with the Minister of Energy of Ghana. 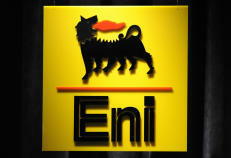 The MoU focuses particularly on the domestic gas market, in which ENI and its JV partners wish to play a prominent role. CIUDAD VICTORIA, Mexico -- A big fire erupted at a natural gas pipeline distribution center near Mexico's border with the United States on Tuesday, killing 26 maintenance workers and forcing evacuations of people in nearby ranches and homes. Mexico's state-owned oil company, Petroleos Mexicanos, initially reported 10 deaths at the facility near the city of Reynosa, across from McAllen, Texas. Later, the death toll was raised to 26, including a man who was run over when he rushed onto a highway running away from the facility. Pemex said at a news conference Tuesday night that the fire was extinguished in 90 minutes and the pipeline was shut off. The pipeline carries natural gas from wells in the Burgos basin. The company's director-general, Juan Jose Suarez, said four of those killed were Pemex employees and the rest were employed by contractors. He told reporters in Reynosa that 46 other workers were injured, including two hospitalized in serious condition. Suarez said they haven't found any evidence showing it was an attack. Company executives said there was a gas leak, followed by an explosion, but the precise cause had not been determined. "Why there was such leak is something that must be investigated," said Carlos Morales Gil, Pemex's director of exploration and production. Civil protection officials evacuated ranches and homes within three miles (five kilometers) of the gas facility, which is about 12 miles (19 kilometers) southwest of Reynosa. Authorities didn't say how many people were evacuated, but the area is sparsely populated, Tamaulipas state's civil protection director Pedro Benavides told a Televisa station. The highway that connects Reynosa to the industrial city of Monterrey was closed to traffic, authorities said. Egidio Torre Cantu, governor of the state of Tamaulipas, sent condolences to the victims' relatives and vowed to make sure those injured receive help for their recovery. Pipelines carrying gasoline and diesel in Mexico are frequently tapped by thieves looking to steal fuel. Several oil spills and explosions have been blamed on illegal taps. But thieves seldom target gas pipelines. In December 2010, authorities blamed oil thieves for an oil pipeline explosion in a central Mexico city near the capital that killed 28 people, including 13 children. The blast burned people and scorched homes, affecting 5,000 residents in an area six miles (10 kilometers) wide in San Martin Texmelucan. ANCHORAGE, Alaska (AP) — It's not much — $878 — but Sina Takafua (SEE'nah TAWK'-ah-fwah) isn't balking at the free money she'll get in her first annual payout from Alaska's oil savings account. She's happy with the amount she'll receive just for living in the state, in her case the northernmost town of Barrow. State officials on Tuesday announced the amount of dividends to be distributed to all men, women and children who have lived in Alaska for at least one calendar year. This year's amount is significantly less than last year's dividend of $1,174, and it's the lowest since 2005. The payout will be distributed Oct. 4. Alaska has no state income tax, but residents must pay federal taxes on the bounty. What they do with the rest is up to them. Harvard University's graduates are earning less than those from the South Dakota School of Mines & Technology after a decade-long commodity bull market created shortages of workers as well as minerals. Those leaving the college of 2,300 students this year got paid a median salary of $56,700, according to PayScale Inc., which tracks employee compensation data from surveys. At Harvard, where tuition fees are almost four times higher, they got $54,100. Those scheduled to leave the campus in Rapid City, South Dakota, in May are already getting offers, at a time when about one in 10 recent U.S. college graduates is out of work. "It doesn't seem to be too hard to get a job in mining," said Jaymie Trask, a 22-year-old chemical-engineering major who was offered a post paying more than $60,000 a year at Freeport- McMoRan (FCX) Copper & Gold Inc. "If you work hard in school for four or five years, you're pretty much set." A fourfold gain in commodities in the past decade reflects both surging demand and the industry's failure to keep up. While new mineral deposits are getting harder to find, companies also are struggling to add enough skilled workers. That's partly a legacy of U.S. colleges cutting back on mining programs. There were fewer than 28,000 people employed in U.S. metals mining in 2004, from 58,000 in 1993, the National Mining Association estimates. By 2011, it had rebounded to 40,000. As many as 78,000 additional U.S. workers will be needed by 2019 to replace retirees, the Society of Mining, Metallurgy & Exploration said in a report in January. In Australia, the largest shipper of coal and iron ore, there will be a shortfall of 1,700 mine engineers, 3,000 geoscientists and 36,000 other workers in the five years ending in 2015, the report said. Demand for mining-school graduates is exceptional in the U.S., where the unemployment rate for 20-to-24 year olds with Bachelor's degrees was 11.8 percent in July. The jobless rate across the economy held above 8 percent for a 43rd month in August, government data show. Universities trimmed courses in earth sciences, mineral geology and mine engineering when the industry contracted in the 1980s and 1990s, said Diana Stewart, the marketing director at Hampshire, U.K.-based jobs4mining.com, a message board that links recruiters and prospective workers worldwide. Shortages in mine engineering and project management are acute, she said. "There are simply not enough to go around, so companies are trying to tempt people to their own projects, which is driving tremendous salary inflation," Stewart said. "When investment finance is tight, skilled labor availability and labor costs are one of the factors that are having an impact on the viability of a project." Fourteen U.S. schools offer mining-engineering degrees, compared with 30 in 1982, according to Dave Kanagy, the executive director of the Society for Mining, Metallurgy & Exploration in Englewood, Colorado. There were 178 mine- engineering graduates in 2011, from 700 in 1982, he said. The average age in the mining industry is 47.3, compared with 40.7 across the combined U.S. workforce. The South Dakota School of Mines & Technology, which charged out-of-state tuition of $10,530 last year, graduated 259 students with Bachelor of Science degrees in 2012. Seventeen of those were in mining engineering. 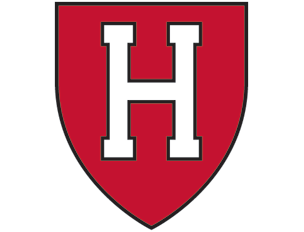 Harvard, in Cambridge, Massachusetts, has more than 27,000 students who paid about $40,000 in tuition last year. The number of engineering graduates who go into mining is "virtually zero, if not zero," said Michael Rutter, the communications director for Harvard's School of Engineering and Applied Sciences. They tend to go to industries including finance, biomedical engineering, software and government, he said. The median salary for all Harvard graduates at mid-career was $116,000 last year, compared with $96,300 at South Dakota School of Mines, according to PayScale's survey. Princeton University 's mid-career salary was highest, at $130,000, followed by California Institute of Technology at $123,000, according to Seattle-based PayScale. The company says the data is based on surveys of more than 35 million users. The South Dakota college, founded in 1885, is a partner in the development of the Sanford Underground Laboratory, which will carry out experiments as deep as 4,850 feet (1,478 meters) down in an abandoned gold mine. Its campus includes the Museum of Geology, which houses a century-old collection of minerals, many of them taken from now-defunct mines. Its football team, known as the Hardrockers, has had one winning season since 1985. The labor squeeze is boosting the cost of new projects and may contribute to delays limiting production growth, especially in copper, said Frank Holmes, the chief executive officer of San Antonio-based U.S. Global Investors Inc., which oversees $1.72 billion of assets. Morgan Stanley is forecasting a fourth consecutive year of global copper supply shortages in 2013. "It's hard to get mining managers and engineers, and trying to bring projects on line has gotten very expensive," Holmes said. "Ore grades are lower, fuel costs are higher, and labor costs are higher, and that will continue to put a floor under copper prices." Copper futures rose 10 percent this year, beating the 5.2 percent gain across the 24 commodities tracked by the Standard & Poor's GSCI Spot Index. The MSCI All-Country World Index of equities advanced 13 percent, while Treasuries returned 1.3 percent, a Bank of America Corp. index shows. Goldman Sachs Group Inc. expects the metal to rise another 12 percent to $9,000 a metric ton by the end of this year. Mining companies are delaying developments because of rising costs and concern that prices may tumble as economic growth weakens. China, the biggest consumer of everything from copper to coal, has slowed for six consecutive quarters. The 17- nation euro area will keep contracting for at least through the first quarter, according to the median of as many as 24 economist estimates compiled by Bloomberg. BHP Billiton Ltd., the world's biggest mining company, said Aug. 22 that it put approvals for about $68 billion of projects on hold after second-half profit at the Melbourne-based company plunged 58 percent. Rio Tinto Group, the third largest, said last month it may spend less on expansions next year. The S&P GSCI tumbled into a bear market in June, falling more than 20 percent from its peak in February, before entering a bull marketonce more in August. Capital spending by the industry will likely contract from next year after average growth of about 30 percent from 2005 to 2011, excluding a decline in 2009, Citigroup Inc. said in a report last week. Expenditure will probably grow 16 percent this year, down from a March estimate of 34 percent, London-based analyst Natalia Mamaeva wrote. It will drop 7.5 percent in 2013 and about 12 percent in 2014, she said. World copper-mine production was 16.03 million tons in 2011, little changed from a year earlier, according to the Lisbon-based International Copper Study Group. The industry's production estimates may need to be cut because of worsening technical glitches and lower-quality ores, Barclays Plc said in a report Aug. 16. Mining companies on average are processing about 15 percent more ore than they were in 2000 to extract the same amount of metal, according to Macquarie Group Ltd.
"A lot of the cost blow-outs come down to haste, inexperience, lack of properly done mining studies, and that reflects the fact that mining is missing a generation," said Robin Adams, a managing consultant at London-based research company CRU. "They are learning though, so that problem is going to go away in a few years." Labor costs in copper mining rose 16 percent last year, after an average annual increase of 11 percent from 2006 to 2010, according to Barclays. Xstrata Plc (XTA), the Zug, Switzerland- based target of a $35 billion takeover bid by Baar, Switzerland- based Glencore International Plc (GLEN), has 197 job openings posted on its website, ranging from a mining production engineer in Australia to a logistics officer in the Philippines. "There are shortages everywhere in mining, so it's an employees' market right now," said Kevin Loughrey, the chairman and chief executive officer of Thompson Creek Metals Co., which is developing a copper and gold mine in British Columbia. "Basic economics tells me that as the cost of these projects increase, the cost of what these projects would produce has to increase as well." 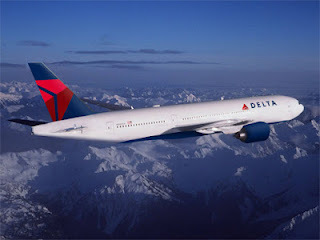 Delta Air Lines unit Monroe Energy is restarting the 185,000 barrel-per-day Trainer, Pennsylvania refinery it bought last spring, and will be producing jet fuel at full capacity by the end of this month, the one-year anniversary of the refinery's closure. "Monroe Energy is in the process of restart right now, and is on track to begin producing jet fuel at full capacity by the end of the month," said Trebor Banstetter, a spokesman for the airline. Deliveries of crude into storage tanks began in late August, ahead of the restart. 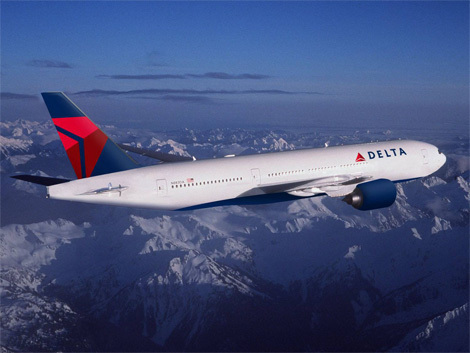 Delta is the first US airline to buy an oil refinery, aiming to manage growing fuel costs. The airline expects the refinery to save USD$300 million off its annual fuel bill, which reached USD$12 billion last year. Delta's president Ed Bastian told a Deutsche Bank conference on Thursday that Delta could save even more as the carrier was looking to bring in Bakken crude from North Dakota to supply the refinery at prices that could be equivalent to West Texas Intermediate or lower. The refinery currently processes more expensive crude from the North Sea and Africa. Delta expected to spend about USD$100 million to increase jet fuel production to 52,000 bpd, or about 32 percent of output. Supply and offtake deals with BP and Phillips 66 will help add more jet fuel to stocks. Under a three-year agreement, BP will supply the crude oil to be refined at the facility. Monroe Energy will exchange gasoline and other refined products from Trainer for jet fuel from Phillips 66 and BP elsewhere in the country through multi-year agreements. The refinery had been shut down at the end of September 2011 by then-owner ConocoPhillips, looking to limit exposure to the less lucrative East Coast refining space. At that time, the refinery was at least a year overdue for its five-year major turnaround of all the units. After the deal closed, Delta's Monroe Energy subsidiary began a complete turnaround on the plant, with the restart of some units targeted for sometime in early September. LONDON, Sept 14 (Reuters) - Trading house Gunvor - dubbed by dealers the king of Kremlin oil - has been left with no Russian crude to sell. That was the surprise outcome of the latest big Russian crude oil sales tender, for long routinely won by Gunvor. The result has sparked an intense debate in the industry about whether Gunvor's co-owner Gennady Timchenko is out of favour with the Kremlin - or whether the firm is merely fine-tuning its strategy before embarking on yet another phase of spectacular growth. Geneva-based Gunvor, which at one point handled as much as 40 percent of Russia's seaborne exports and was a regular in term deals with companies such as Rosneft, Surgut and TNK-BP, insists the latest development is consistent with its long-term strategy. "We now have a balanced portfolio of grades, sourcing oil and products from more than 35 countries. Gunvor's overall trading volume of oil and products is increasing year-to-year and Gunvor is well diversified including being a leading exporter of many Russian products," the company said. Its role in the Urals crude market has diminished over the past two years as it expanded into gas, coal and shipping but the outcome of the latest tender by Rosneft, the Kremlin-controlled state giant, still came as a shock to many traders. 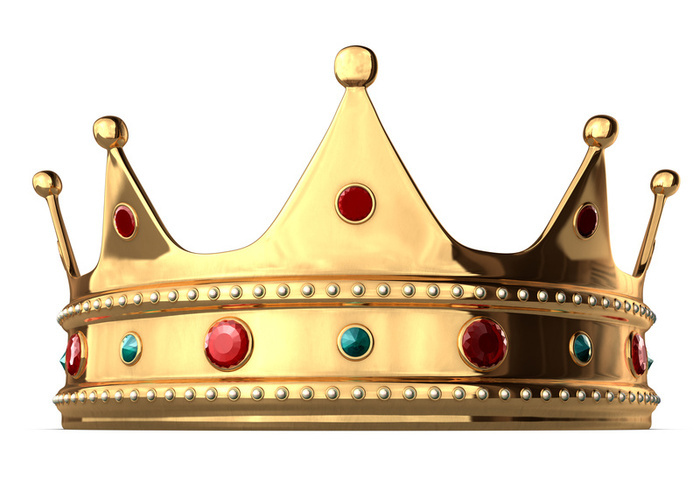 Rosneft awarded its regular six-month tender to rivals Vitol, Glencore and Royal Dutch/Shell leaving Gunvor or companies perceived as friedly to it, for the first time, empty-handed. Because Gunvor also did not feature among 2012 winners of annual tenders by Surgut and TNK-BP, from October it will be left with just two cargoes a month of Urals crude under a term deal with state-controlled Gazprom Neft. That deal expires in December. "They were so monstrously big in Urals and it is so bizarre to see them pulling out now. They might be still big in products, European refining. But in Urals - they have completely deflated," said a veteran trader with a major oil firm. Gunvor says its decisions to compete in Russian tenders is purely commercial, and it picks up cheaper cargoes on the spot market. "We also buy crude oil in the Platts windows and the open market, which could from time to time be cheaper than contract prices. Therefore, Gunvor's traded volumes of Russian crude oils are actually higher than you may conclude from watching our activity in the long-term tenders - which are sold at a premium to the market," the company said. Some traders agreed that Rosneft and Surgut have made their crude tenders more transparent and competitive in the past years, partly under pressure from minority shareholders and the government. As a result tenders became overcrowded and premiums shot up. "If you don't have access to cheap Urals anymore, you might as well cede your role to Vitol or Glencore and try to earn money else where," one veteran tender participant said. Gunvor's spectacular rise in just a decade from an unknown into an $80-billion annual revenue trading house, has long attracted controversy. Several Russian opposition figures have suggested its success was due to close ties between Timchenko and President Vladimir Putin. While acknowledging a long association, the two have denied they have a business connection. Timchenko denied receiving Kremlin help in an open letter in 2008 entitled "Gunvor, Putin and me: the truth about a Russian oil trader". There has been media speculation in Russia that Timchenko has fallen out with Putin's main energy aide Igor Sechin, deputy prime minister until May and currently chief executive at Rosneft. "We have neutral, normal, working relations ... The newspapers are writing that we are quarreling - it is wrong. We don't have any problems," Timchenko told Reuters in June in a rare interview. Speculation intensified in August when Rosneft, which produces as much oil as OPEC member Nigeria, reshuffled its export department. "Practically anyone who has ever dealt with Gunvor was kicked out in August. It was a brutal purge," one insider said after the company's head of export department, Sergei Andronov, left together with a number of other export executives. Rosneft declined to comment on the reshuffle. Gunvor said "it remains on good terms with all Russian companies and is, as in the past, invited to participate in tenders issued, which are based solely on competitive criteria". In June, Timchenko, who has both Russian and Finnish citizenship, said he wanted to follow top traders like Glencore and diversify Gunvor into new areas.. Timchenko co-owns Gunvor with chief executive Torbjorn Tornqvist. Timchenko has already expanded through Gunvor and other firms into coal, natural gas and oil terminal businesses becoming Russia's 12th richest man with a wealth of over $9 billion, according to Forbes magazine. "They might have lost cheap Urals but otherwise I see little evidence of Gunvor's or Timchenko's declining fortunes. They expand in Russia, abroad, they are a rare firm still hiring," said a trader with a rival. The latest high-profile hire was David Fyfe, former head of oil market analysis at the International Energy Agency. Companies close to Timchenko have also been busy in the construction of Ust-Luga, a new port in the Baltic. Its launch was postponed repeatedly after landslides, forcing Putin to delay a visit, before a successful launch six months ago. Outside Russia, Gunvor this year bought bankrupt Swiss oil firm Petroplus's refineries in Ingolstadt, Germany, and Antwerp, Belgium. "We see this more as a strategic diversification of Gunvor's interest away from Russian crude exports. The company is following in the footsteps of the likes of Vitol, by acquiring its own infrastructure and downstream assets," said David Wech from Vienna-based JBC Energy consultancy. Still, Gunvor's shrinking role in Russian oil trading continues to puzzle some traders. "If you have refineries, your trading positions becomes even stronger. Because if you struggle to sell your oil, you can always place it with your own refiner. So I found it strange when people say Gunvor is diversifying away from Russian oil," a former trader with Petroplus said. A Carson City, Nev., man who was found dead in his home (pictured below) in June left only $200 in the bank -- but a fortune worth millions more hidden inside his house. Walter Samaszko Jr., who's been described as a recluse, had been dead for more than a month when authorities discovered his body. And as officials were clearing out his home for sale, they uncovered a pot of gold -- literally. Samaszko had been hiding gold bars and coins worth a total of $7 million in boxes in his house and garage. Some of the items included coins from Mexico, England, Austria and South Africa dating back to 1872. Samaszko was determined to have died of heart complications. 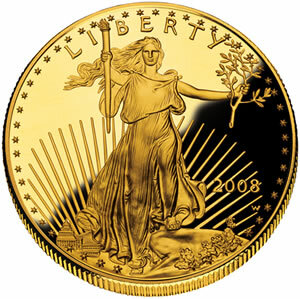 "Nobody had any clue he was hoarding the gold," Carson City Clerk-Recorder Alan Glover told the Las Vegas Sun. According to the newspaper, there were so many gold bars and coins that Glover had to use a wheelbarrow to haul them to his truck. Glover later deposited the treasure for safekeeping. Because Samaszko didn't have a will or any close relatives, lawyers tracked down his first cousin, substitute teacher Arlene Magdanz of San Rafael, Calif. According to the lawyer who contacted Magdanz, her response was simply: "Oh, my God. Oh, my God." "Our goal is to get the most money for the heir," Glover told Carson City's Nevada Appeal, adding that the IRS could take as much as 75 percent of the $7 million fortune, depending on whether Samaszko's taxes had been paid properly. 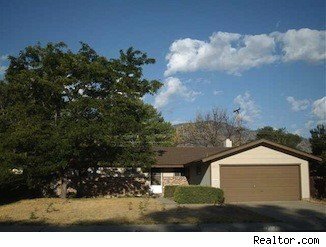 Samaszko's three-bedroom, two-bathroom house is now for sale at $105,000. Middle Eastern members of OPEC are finally diversifying their energy base, pouring hundreds of billions of dollars into harnessing that other resource they feature in vast quantities: sunshine. But it isn't what you think. The Saudis, Abu Dhabi and Iran aren't racing to burnish their green credentials by reducing their carbon footprints. They are investing in solar-power production mainly for one reason: to help them export even more oil and gas. Like most countries, members of the Organization of Petroleum Exporting Countries rely on crude oil and natural gas to generate their own electricity for air-conditioning and other power needs. This reduces the amount of hydrocarbons they can sell abroad. During the summer the Saudis burn as much as one million barrels a day of crude oil—about 10% of their current production—for their own power consumption. 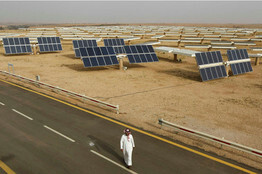 LIKE STRIKING OIL Saudi Arabia has a goal of meeting one-third of its electricity needs with solar power. In a speech last year in Poland, Saudi Arabia's oil minister, Ali al-Naimi, made it clear the world's largest oil exporter aspires to be a solar powerhouse. "Oil is not the kingdom's only energy wealth: Saudi Arabia is blessed with an abundance of sunshine," he said, adding that such realities "make solar energy a natural, logical focus." But in a speech delivered in January, Mr. al-Naimi elaborated on his country's thinking behind its push for solar. "I see renewable energy sources as…helping to prolong our continued export of crude oil," he said. Saudi Arabia tops the list of Middle Eastern nations with plans to use solar energy to supplement local electricity needs. The Saudis aim to fill one-third of their power needs with solar and are seeking investments of $109 billion by 2032 to accomplish that goal. In North Africa, Algeria plans to rely on clean energy—the majority solar—for 40% of its needs in 2030. Algeria is also supporting the Desertec project—a consortium that seeks to tap solar and wind power in the Sahara as a new source of electricity for Europe. The estimated total cost of that project is a staggering $500 billion over 40 years. Elsewhere in the Mideast, plans are more modest, with countries generally seeking to fill 5% to 10% of domestic electricity and water-desalinization needs with solar power. Dubai has plans for a $3.26 billion park of solar plants, due to start producing by the end of 2013. Abu Dhabi expects to start generating power later this year from what it has dubbed the world's largest concentrated-solar-power project. Concentrated solar power uses mirrors or lenses to direct a large area of sunlight onto a small area—potentially increasing the energy produced. In Iran, where local power contractor Ghods Niroo Engineering Co. is working on a new solar plant near Tehran, two large power plants already capture solar energy, including a 250-kilowatt facility in the desert region of Yazd. In addition to freeing up fossil fuel for export, solar also makes sense to power isolated regions. 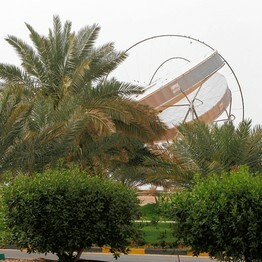 Solar dishes at a research site in Saudi Arabia. Some oil producers are pondering how much they should bet on solar compared with other renewable energy sources. A mechanical expert at Iranian power-generation company Mapna Group who asked not to be named estimates the cost of producing solar energy at $3,000 a kilowatt, compared with $1,800 a kilowatt for wind. Solar energy has potential, he says. "But it will be expensive." Mr. Faucon is a reporter for Dow Jones Newswires in London. He can be reached at benoit.faucon@wsj.com. (Reuters) - Crude oil should be at least $150 per barrel, Iran's oil minister was quoted as saying on Sunday, and the sanctions-hit country's OPEC governor said current oil prices were not high enough to threaten the world economy. Benchmark Brent crude prices rose to nearly $118 a barrel on Friday, stoking fears that surging energy costs could harm fragile economic growth. Days earlier, Saudi Oil Minister Ali al-Naimi said he was worried by high prices and the kingdom would take steps to moderate them. Iranian oil officials say oil prices are still fairly low and deny there is any danger of current prices hampering growth. Iranian oil minister Rostam Qasemi said on Sunday crude oil ought to be at least $150 per barrel, the Iranian Students' News Agency (ISNA) reported. "During the winter, oil prices always climb," Qasemi said. "So it's natural that this year as well we will have a rise in oil prices in the winter." 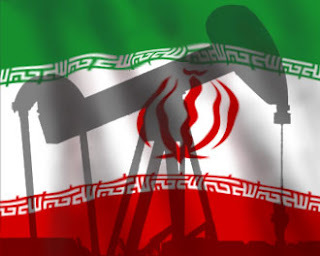 Mohammad Ali Khatibi, who represents Iran on the board of governors of the Organization of the Petroleum Exporting Countries (OPEC) told the oil ministry news website Shana that even price-sensitive consumers saw $100 a barrel as fair. He argued that prices a "few dollars" above that level were unlikely to upset Western economies. "Current oil prices represent nominal prices of the commodity," Khatibi was quoted as saying by Shana. "Considering the inflation rate and other economic issues, it could be argued that real oil prices are between $70 to $80 or $10 to $15, respectively, when we consider the year 2000 or 1970s as the reference." Khatibi said U.S. and European governments should focus on solving their deep structural issues such as huge budget deficits, rather than blaming rising oil prices for their problems. Brent crude oil prices have surged more than 20 percent since OPEC last met in June, hovering between $112-$118 a barrel since mid-August, despite concerns over the world economy. "Current oil prices are the result of natural developments in world oil markets," Khatibi said, adding that the United States is trying to "artificially" bring down prices by pressing oil-producing countries to raise output. U.S. administration officials met analysts in early September in a move seen by some as a sign that President Barack Obama was considering releasing government reserves in a bid to bring down fuel prices in the run-up to the November elections. Last week the International Energy Agency, which represents developed energy consuming countries, said global oil demand was likely to be muted over the next year and supply and inventory levels looked comfortable, implying there was no need to release emergency stocks to curb prices. Rejecting analysts' estimates that Iran has slipped into third place behind Iraq in OPEC output rankings since Western sanctions on its exports tightened in July, Khatibi said official figures from Tehran showed Iran was surpassed only by Saudi Arabia. "We are responsible towards those figures we present directly to OPEC Secretariat, the figures that show Islamic Republic of Iran maintains its position as the second-biggest oil producer in OPEC," he said. In its latest monthly report, secondary sources cited by OPEC show Iraq overtook Iran as the 12-member group's second-biggest producer in July, with further rises in Iraqi production and the continuing decline of Iranian output to 2.77 million barrels per day (bpd) in August widening the gap. Official Iranian government figures put production in August at 3.75 million bpd, compared with Iraqi government figures of 3.17 million, according to OPEC. The import of refined oil products between January and July, this year totalled $1.3 billion while crude oil imports amounted to $557 million, the Bank of Ghana (BoG) recently stated at its 52nd Monetary Policy Committee (MPC) meeting in Accra. While the development depicts the a high level of premium the country places on imported refined oil products vis-à-vis crude, its trade account deficit widened to $2 billion from January to July 2012 compared with a deficit of $1.3 billion in the same period of 2011. Some players in the oil industry have indicated that it is inexpensive to import and sell refined oil products. 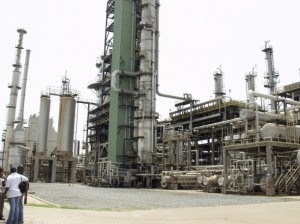 But the workers’ union of the Tema Oil Refinery (TOR) has often protested against the shift towards the importation of more refined oil products, saying the move would hamper efforts at sustaining TOR. CITY& BUSINESS GUIDE attempted to contact management of TOR to comment on the current situation of the company, but the calls went unanswered. Gas imports through the West Africa Gas Pipeline were estimated at $107 million while total merchandise imports were estimated at $10.4 billion, representing a year-on-year growth of 18.3 percent over the same period last year. Oil import, including crude, gas and refined products, amounted to $2 billion compared to $1.9 billion recorded in the corresponding period in 2011. Total non-oil imports amounted to $8.4 billion. Of this, capital imports were estimated at $1.9 billion, intermediate imports amounted to $4.1 billion and consumption imports $1.84 billion. Total merchandise exports from January to July 2012 grew by 12.9 percent on a year-on-year basis to $8.4 billion mainly driven by high export receipts from gold, cocoa beans and crude oil. Exports of gold amounted to $3.5 billion, cocoa beans, $1.8 billion and crude oil $1.6 billion. Other export receipts, including non-traditional exports, amounted to $1.5 billion. U.S. economy until it saw a sustained upturn in the jobs market. could utilise a massive fiscal stability fund to boost growth. $1,777.51, its highest since Feb. 29.
chief executive of Sarhan Capital. which were the metal's February and last year's November highs. rose in August at the fastest pace in more than three years. Fed action to kick in. 1,292.432 tonnes by Sept. 13.
estimated to own 80 percent of the world's platinum reserves. (Bloomberg) -- Wilbur Ross, whose company manages about $10 billion of assets, said private-equity investors are increasingly interested in shipping after a four-year rout caused by a glut of capacity. WL Ross & Co. was among investors who spent $900 million a year ago on 30 tankers hauling refined oil products. It became the largest shareholder last month of Navigator Holdings Ltd., which carries liquefied petroleum gas. Growth in developing economies will drive demand for shipping, Ross said in an interview at Bloomberg’s headquarters in New York on Sept. 10. The combined market value of 145 shipping companies that are part of U.S. stock indexes tumbled at least 60 percent to $137 billion since May 2008, data compiled by Bloomberg show. Apollo Global Management LLC and Blackstone Group LP are among private-equity firms that bought vessels in the past two years. The industry’s investment in shipping jumped 13-fold to $3.3 billion last year, according to Marine Money International, a New York-based consultant and publisher. Earnings for ships hauling crude oil, iron ore, coal and grains are mostly below what owners need to break even, according to figures from the Baltic Exchange in London, which publishes costs along more than 50 maritime routes. Owners are contending with fleets growing at least twice as fast as demand, based on data from London-based Clarkson Plc, the world’s largest shipbroker. John Fredriksen, the world’s richest ship owner, said in interviews with Bloomberg Markets magazine and Bloomberg News this year the industry may be close to a bottom. He is investing $4 billion in vessels to transport liquefied natural gas, gasoline, propane and other fuels, as well as $7 billion for 18 oil rigs. The largest crude-oil tankers are losing $2,480 a day when they ship 2 million-barrel cargoes of Saudi Arabian oil to Japan, the industry’s benchmark route, according to the exchange. They need $10,670 to pay running expenses, a figure that excludes interest costs on debt, according to Moore Stephens International Ltd., a consultant that tracks expenses. Capesizes, the largest iron-ore carriers, are earning $3,490 a day, according to the exchange. They need $7,400 to cover operating costs, Moore Stephens estimates. Blackstone, based in New York, bought nine refined-product tankers in August from Leer, Germany-based Hartmann AG for an undisclosed price. It also controls American Petroleum Tankers Parent LLC, whose ships are authorized to transport cargoes along the U.S. coast. The U.S. restricts shipping in its waterways to American- owned and -flagged ships under the Jones Act, a 92-year-old law. Apollo bought a stake in Prestige Cruise Holdings Inc. in 2007 and a holding in Norwegian Cruise Line in 2008, according to Melissa Mandel Kvitko, a spokeswoman for the firm at Rubenstein Associates Inc. 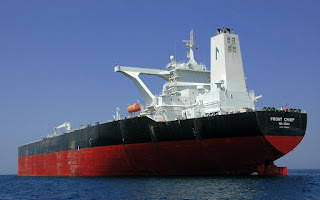 The New York-based company started Principal Maritime Management LLC in 2010, which operates a fleet of 11 Suezmax oil tankers. The number of private-equity firms considering shipping investments expanded this year, said Peter Shaerf, a managing director at AMA Capital Partners LLC, a New York-based consultant. “We’ve seen a lot of people dancing around the edge, asking questions and looking at it,” he said.